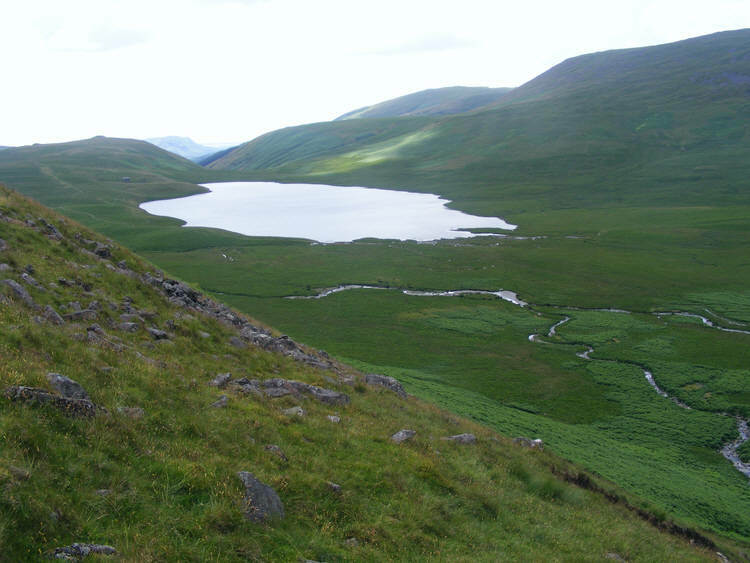 This picture of Burnmoor Tarn was taken from Bleaberry How, at the northern end of Great How/ Eskdale Fell. To the right are the slopes of Illgill Head. Directly above the tarn is the entrance to Miterdale, although despite appearances the water from the tarn does not flow down that valley.